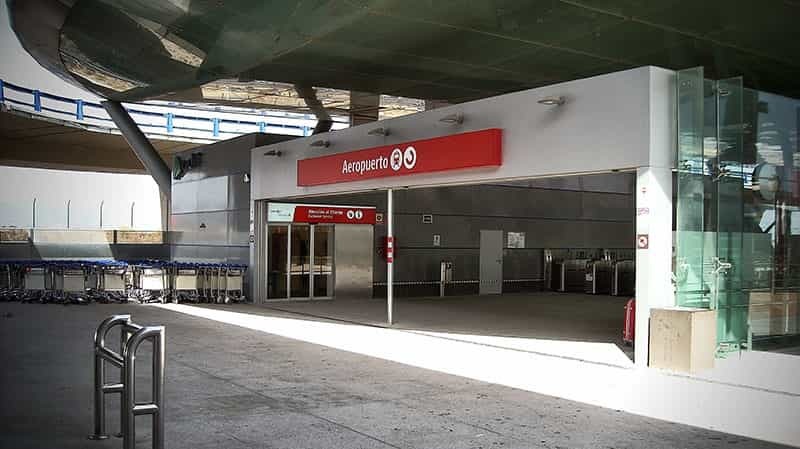 Malaga airport has a commuter train station with trains every 20 minutes in both directions except the first and last trains. Just after passing the entrance on the photo below on the right there are a few ticket vending machine where you have to buy your train ticket, it can be used in English, just tap on the flag. Vending machines will accept only 5€, 10€, 20€ bills and coins. Simple tickets are valid for 2 hours only. If you plan to use the train at least 5 times with round trips or 10 one way trips you have the option to purchase a 10 trips ticket with a validity of 1 month. If you are in arrivals, just walk straight, exit the airport and pass the bus stop, it is just there on the right. If you are in departures, just have to use the elevator or the stairs for going to ground level. You can visit our official guide about the commuter train in Malaga with information about prices by zones and a map of the stations for both directions. 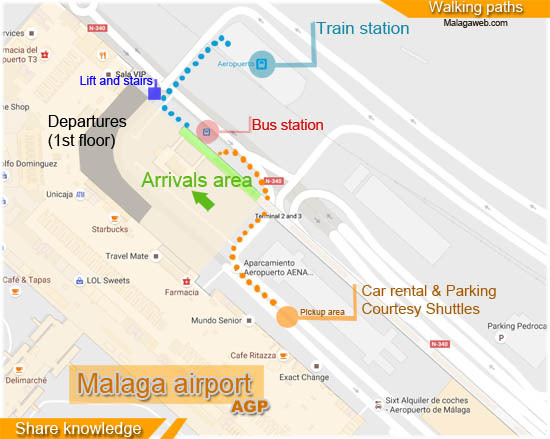 It might be useful if you plan to take the train from another location than Malaga airport.